In less than a week, the ninth session of the World Urban Forum (WUF), the largest international stakeholder gathering for passionate urbanists, will take place in Malaysia. It is the second time that the Forum is being held in Asia, and Kuala Lumpur, one of the most vibrant cities in the region, will be the host for more than 20,000 participants from all over the world. As the first international conference on sustainable urban development to take place after Habitat III in October 2016, this year’s WUF comes at a critical moment: while an ambitious New Urban Agenda (NUA) was adopted in Quito which sets the frame for the concretisation of the “urban” SDG 11, implementation at scale is obviously a challenge. At the same time, this year’s High Level Political Forum of the United Nations, scheduled for mid-July in New York, will for the first time review progress made regarding SDG 11. Besides its traditional function as a gathering for exchanging views and experiences on urban challenges, WUF9 should therefore be a platform for strategic discussion and to present ideas on how to leverage synergies and strengthen implementation. This is also the direction in which the theme of this year’s World Urban Forum – “Cities 2030 – Cities for All: Implementing the New Urban Agenda” – is leading us. Participants should use the current momentum to further discuss – and hopefully agree on – priorities and ways to implement the commitments of the NUA, and for aligning implementation efforts with the SDGs. In this context, it will also be essential to find common understanding on the respective roles, functions and responsibilities of governments, international organisations and relevant stakeholders. WUF9 offers an excellent opportunity to achieve this, since a large number of relevant actors from various sectors and regions will come together. Being an open and multi-level platform for exchange and dialogue, WUF9 could thus be instrumental for substantially feeding in the inputs of various stakeholders for the first progress reports on the NUA and SDG 11. However, some questions remain unanswered: How will those stakeholder inputs be collected so they can be reflected in the first progress report? And how will the preparatory process for elaborating an outline of the report be structured? Until now, information in this regard has been limited and many aspects remain unclear. These, too, are matters that will require systematic discussion in Kuala Lumpur and beyond. The World Urban Forum has unique potential to become an essential element in the drafting process and must therefore be used as a platform that can facilitate stakeholder participation in the follow-up and review process of the NUA. The WUF has enormous leverage to mobilise urban stakeholders from around the world. Consequently, the World Urban Forum should be recognised as the key platform for dialogue and exchange throughout the NUA reporting period until 2036. At this year’s WUF9, taking stock of what has already been achieved since the adoption of the NUA will help identify gaps and move implementation of the NUA forward. However, successful implementation of the commitments made for sustainable urban development will require new approaches, ideas and partnerships. As in the case of past World Urban Fora, Germany will have a broad presence at WUF9 with a German Pavilion in the exhibition area as the focal point. Guided by the motto “Germany – Partner for Implementing Sustainable Urban Solutions”, the German Pavilion will offer a forum for information, presentation and dialogue as well as for strengthening partnerships and fostering new alliances. 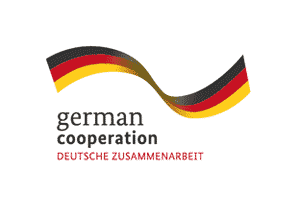 The German delegation will be headed by senior representatives from the relevant line ministries, the Vice Minister for Economic Cooperation and Development, Parliamentary State Secretary Thomas Silberhorn, and State Secretary Gunther Adler from the Federal Ministry for the Environment, Nature Conservation, Building and Nuclear Safety (BMUB). In keeping with the spirit of WUF9, the German delegation brings together various stakeholders from politics, academia, cities and municipalities, along with representatives of civil society organisations, development institutes and many more, all of them committed to promoting integrated and sustainable urban development in Germany and internationally. As part of the official program, Germany is organising a number of side and networking events. Besides which there will also be a daily program of presentations at the German Pavilion. For a full overview of German events at WUF9 click here.